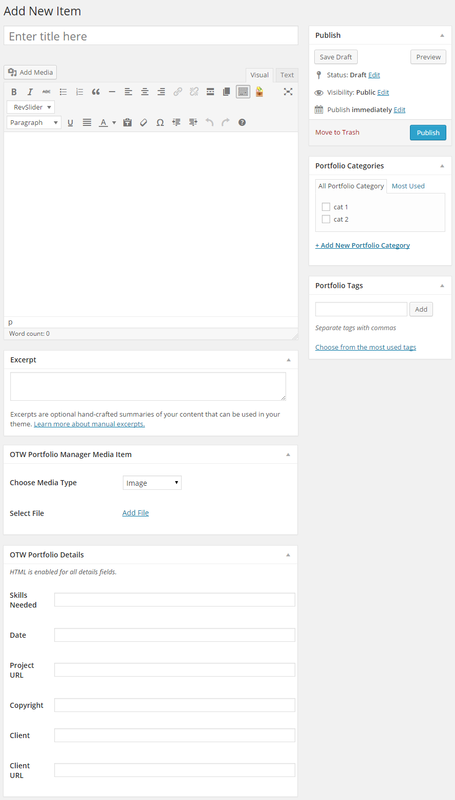 Portfolio Manager for WordPress adds tons of portfolio / gallery functionality in terms of layout variation, content re-arrangement, etc. to any WordPress based website. Add the list where you need it. Edit the list any time. In the Portfolio Manager menu go to Add new item. You can edit already created items in the Portfolio Items menu. Once a list is created you can edit it any time from Portfolio Manager -> Portfolio lists. You can also get the shortcode for a certain list there. Every list has a shortcode that can be found in the Portfolio Manager menu -> Portfolio lists. You can use the shortcode to add the list in a page/post content area. You can also add it in a template file by using the do_shortcode WordPress function. The plugin comes with a widget that can be used to add any portfolio list in a sidebar. You can go to Custom Styling in the list’s edit screen and style your lists by using css.